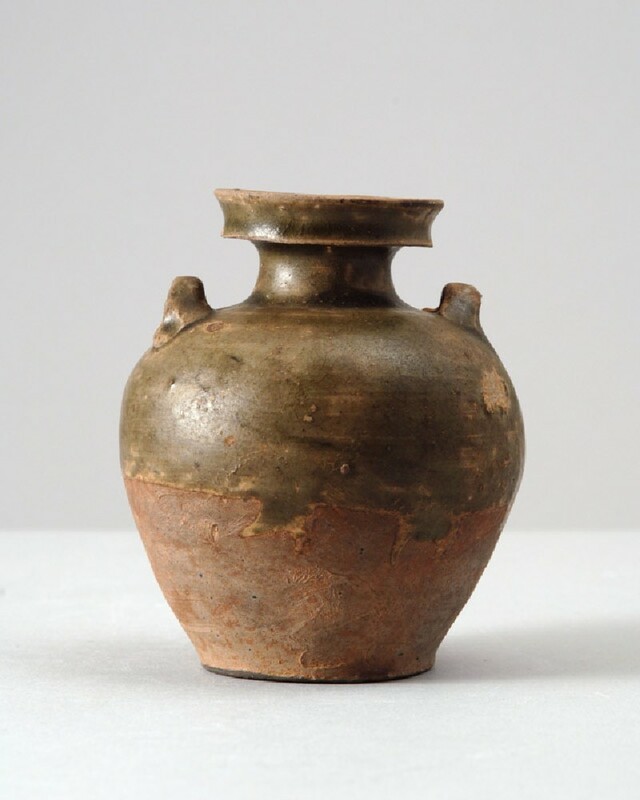 The small jar has an ovoid body with a flat base, a short waisted neck and a thick, wide everted, angular rim, with two horizontal lugs attached to the shoulder. The piece is undecorated and the dark olive-green glaze covers it only halfway, the lower part remaining exposed in the reddish-buff biscuit. On one side, the lower edge of the glaze touched another piece before or during firing. The base has four elongated spur marks.